The midsize Toyota Highlander has room to seat seven or eight passengers, making it a great choice for those with larger families or groups of friends. It gets better than average fuel economy and comes with a long list of standard features. With five models featuring traditional gas engines and three hybrid trims, there are plenty of ways to configure your Highlander, even before you look at options, packages, and accessories. The Highlander consistently receives high honors as well. The most recent Highlander offers an all-new 3.5-liter V6 with direct injection to give you brisker acceleration and you can boost its efficiency with the Stop and Start Engine System. Unsurprisingly, this SUV offers all-wheel drive, but in the case of the Highlander, it is Dynamic Torque Control AWD, an improved system that distributes power and manages braking side to side. The Highlander is tough enough to take you camping or bring a boat along thanks to its 5,000-pound towing capacity. Don’t forget that the Highlander also comes standard with the latest driver assistive features courtesy of Toyota Safety Sense. The 2019 Highlander is primarily a carryover from the previous model year, with some minor exterior tweaks on some trim levels – but this midsize crossover with its boatloads of space and feature-rich, upscale interior continues to be a popular pick in the crowded automotive segment. The Highlander’s six available trims – LE, LE Plus, XLE, SE, Limited, and Limited Platinum – are all well-equipped and offer just what you need and want out of a vehicle of this size. It can accommodate up to eight in spacious comfort in its quiet and roomy cabin, and the smooth ride and range of user-friendly safety, driver-assistance, comfort, and convenience features ensures that everyone inside the Highlander will remain comfortable, secure, and entertained no matter how long the drive is or what you face along the way. When you’re ready to check out the Highlander in person and see what its amazing trims have to offer, turn to Warrenton Toyota for a large selection, low prices, and exceptional customer service. LE: The base trim in the 2018 Highlander lineup, this trim features seating for up to eight, integrated backup camera, Entune™ audio with Bluetooth*, Toyota Safety Sense P, and more. You’ve got a choice of a 2.7L 4-cylinder or 3.5L V6 engine with this trim. LE Plus: The LE Plus enhances the LE’s features with a more powerful V6 engine under the hood and premium features like SofTex trimmed seats, leather trimmed steering wheel, Entune™ Audio Plus with navigation, HD Radio™, SiriusXM Satellite radio, and 3.5L V6 engine. (The 3.5L V6 gas engine is standard this and higher trim levels unless it is a Hybrid version). Hybrid LE: The LE trim, but with standard all-wheel drive capability and a 3.5L V6 ECVT Hybrid engine under the hood. XLE: This trim adds on luxury features like leather trimmed front/second row seats, Entune™ Premium Audio, and power tilt/slide moonroof. SE: Luxury features with a dash of sporty performance via 19-inch multi-spoke machined alloy wheels with black finish, sport tuned suspension, and dark black accent headlights. Hybrid XLE: The XLE powered by a 3.5L V6 ECVT Hybrid engine and with all-wheel drive as a standard feature. Limited: The most well-equipped trim in the 2018 Highlander lineup includes amenities like heated/ventilated front seats, Entune™ Premium JBL® Audio system, and 19-inch Chromtec® alloy wheels. Hybrid Limited: All the premium options you get with the standard Limited trim plus a 3.5L V6 ECVT Hybrid engine and all-wheel drive. The 2001 Toyota Highlander was the first model and was only offered in two trims with two rows of seats. It combined the features people loved of minivans, SUVs, and station wagons and came standard with air conditioning, 17-inch alloy wheels, cruise control, and a CD player. Optional amenities included heated front seats, a moonroof, leather seats, keyless entry, and three-zone automatic climate control. This first-generation model had 155 horsepower or 220 horses depending on the engine. 2004 saw a mid-generation refresh with a new grille, redesigned headlights, an available third row, and a 5-speed automatic. The Highlander Hybrid arrived for the 2006 model year, as did a Sport trim. The second generation arrived in 2007 with a larger size and more power. Discerning drivers love the Highlander because of the safety and room it provides while still remaining economical. 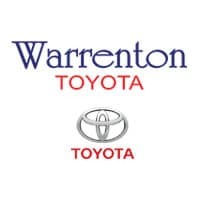 To truly get a feel for what it is like to drive one, come by Warrenton Toyota in Warrenton, VA and let our professionals show you around the many models available. We are happy to answer any questions you have and can even help with financing right here at the dealership.